I. K. A. Howard, who died in March 2013, was a distinguished scholar of Islamic studies, and one of the few Western scholars to devote themselves the study of Shi’ah Islam. He translated a number of important Shi’ah texts and wrote a series of articles on Shi’ah Islam at a time when there was little other work being undertaken on this important subject in Western universities, as such he can be seen as a pioneer in the field. For many years he held a senior lectureship at the University of Edinburgh where he taught Arabic and Islamic studies. His exactitude and scholarly rigour were unfailing, as his students had cause to note, but this was tempered by an encouraging and generous approach to their endeavours. He came to Islamic studies through a circuitous route, but none the worse for that, beginning with a degree in Greek from the University of Wales in 1961. 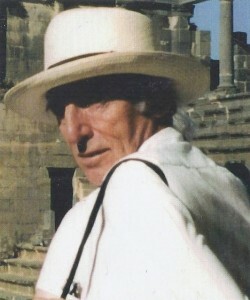 He then taught English in the Middle East, in the Yemen and Lebanon, in the 1960s and early 1970s and thus began his lifelong interest in Arabic and Middle Eastern studies leading to a degree in Arabic from the University of London, and an MA from the American University in Beirut in 1972, which he studied for part-time. It was after receiving his PhD, on Shi’ah law, from the University of Cambridge in 1975, that he became a lecturer at Edinburgh in 1976. His academic knowledge of Islamic studies and Arabic was therefore complemented and enriched by his personal experience and love of the Middle East, its culture and peoples. His years spent in the Middle East gave him a profound understanding of the region, just as his background in classical studies gave a range and depth to his academic approach. He supervised over forty doctorates in Islamic studies and his academic interests were wide, covering not only Islamic law, but Qur’anic studies, theology political thought, and mysticism. His translations included Shaykh al-Mufid’s Book of Guidance, Suleyman Kattani’s work on Imam Ali, and the volume of the S.U.N.Y. translation of Tabari’s history on the caliphate of Yazid b Mu‘awiyah, including the all-important account of the martyrdom of Imam Husayn. I. K. A. Howard’s numerous articles covered subjects as diverse as Islamic law, history and theology. He also taught and lectured at a number of other academic institutions in the UK and America. He retired from the University of Edinburgh in the late 1990s, moving to Newport in Wales. In 2012, he was appointed Professor of Shi‘ah Studies by The Shi‘ah Institute in recognition of his important contributions to this field of research. His death comes as a great loss to the field of Shi’ah and Islamic studies. Had he not fallen ill in recent years it is undoubted that he would have continued his research work and made further significant contributions to Islamic studies. He is survived by his widow, Avril Howard and his two sons by his first marriage, Tom and Richard. His loss is also keenly felt by his many friends, colleagues and former students. Ian Keith Anderson Howard, 1939-2013.